I personally believe that the Crock Pot is the best invention known to man. 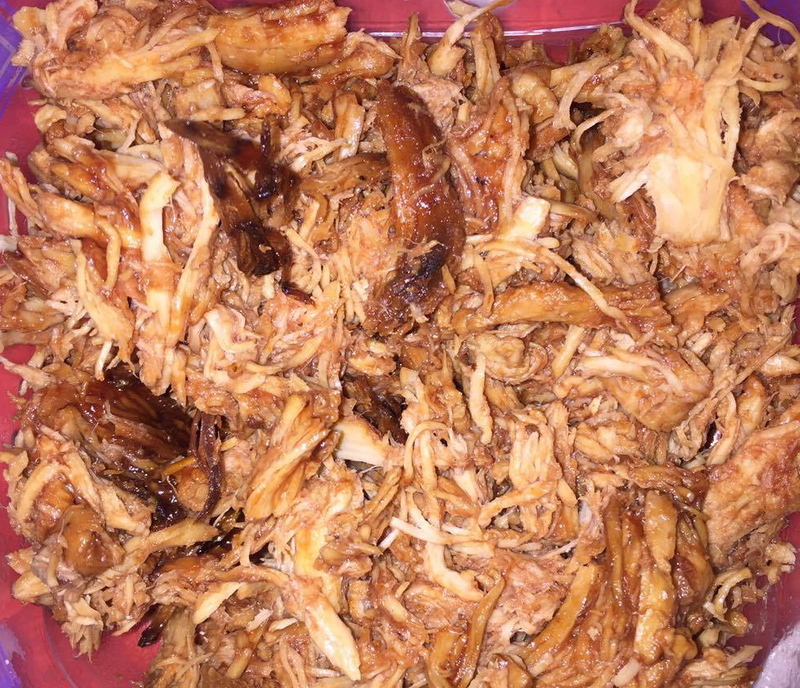 This Barbecue pulled chicken recipe is so good, your family and friends will never know that it is gluten free! Food blogger who is trying to make eating gluten free look good. 1. Place crock pot liner inside crock pot. 2. Cook raw chicken in crock pot on HIGH HEAT for 3 hours (covered). 3. Remove chicken from crock pot onto plate and drain excess juices from crock pot. 4. Shred chicken with 2 forks and transfer back into crock pot. 5. In a heavy bowl, mix 1/2 bottle of BBQ sauce and 1/2 cup of brown sugar. Mix well until brown sugar is mixed into BBQ sauce. 6. Pour sauce over chicken and mix in well. Continue cooking on high for 30 minutes (covered), or until done.